185-154213829 Freer Gallery of Art Peacock Room Vertical. Freer Gallery of Art Peacock Room Vertical. 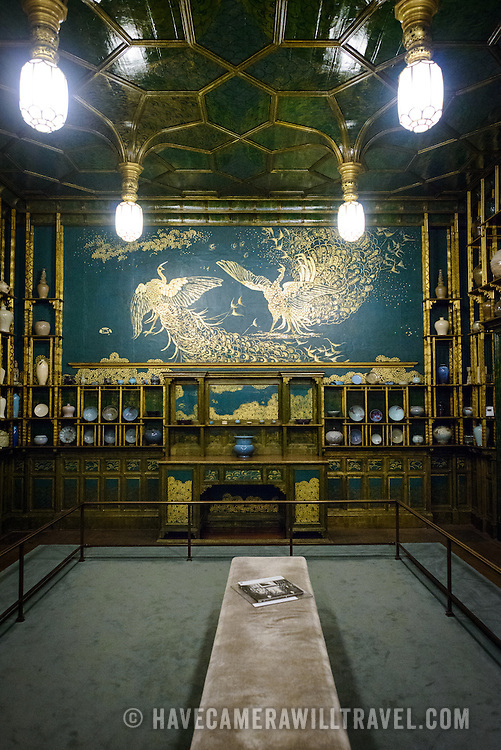 Originally part of a London dining room and redecorated by American expatriat artist James McNeill Whistler, the Peack Room has been reinstalled as a room in the Freer Gallery of Art. The Freer Gallery of Art, on Washington DC's National Mall, joined the Arthur M. Sackler Gallery to form the Smithsonian Institution's Asian art gallery. The Freer Gallery contains a sizeable collection of Asian art, but also has a major collection of works by James McNeill Whistler.